This is Tim Flick (above). He's one of my oldest and best-est of friends. We hated each other before we loved each other. That's because we hadn't figured that we were basically the same person. We are loving each other in this photograph. 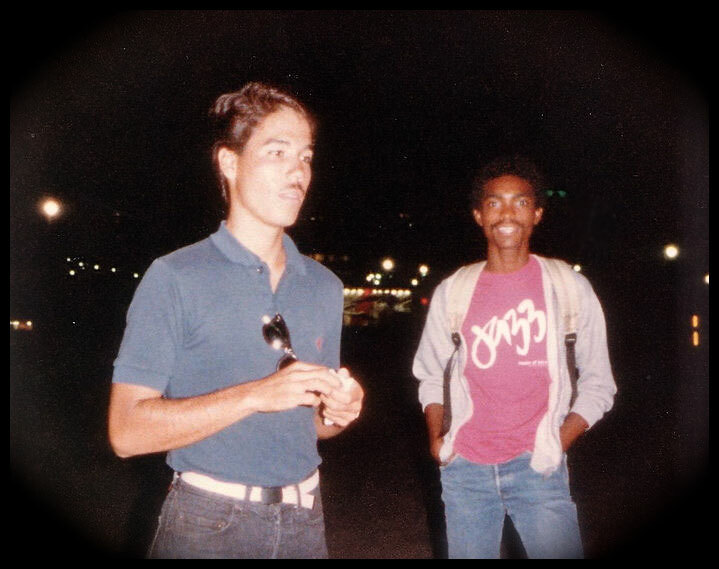 I'm not sure where this photo was taken (I'm going to guess Montreal, Columbia, SC, or Atlanta) but I do know this: 26-years later I completely dress the same (501s, pink t-shirt, hoodie, and backpack). Below? 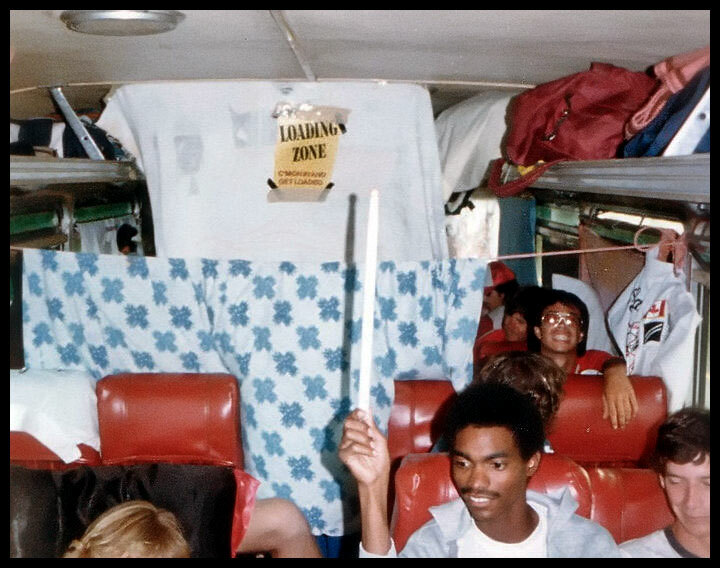 Random bus photo at 18-years of age. Goddamn, I have to grow a mustache again. Funny, my child is currently closer to this age than I am. Thanks to old friend, Scott Newton, for uploading these pics.